CLEAN! CLEAN! CLEAN! 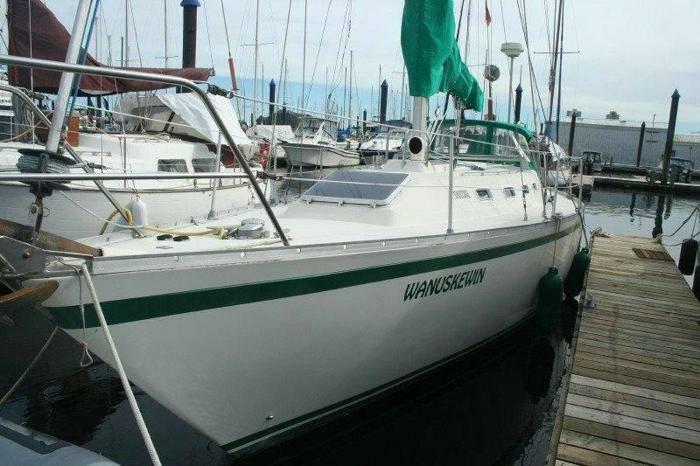 - BIG VALUE HERE - CS Yachts, formerly know as Canadian Sailcraft, built fine quality boats starting in the 60's up until . The CS 36 was built from to and during the last years of production was referred to as the 36 Traditional as opposed to another 36 footer they were building called the 36 Merlin. Over 300 of the 36 Traditional were built. CS has built some of the best production boats of that time. Their boats were of similar quality as Ericson's and Tartan's and were well respected for their build quality as well as their sailing abilities. Loaded with features "WANUSKEWIN" won't disappoint!